Saturday, April 14th, 2018, over 1,100 guests and volunteers paraded into the John D. Bradley Convention Centre for the 18th annual Festival of Giving! 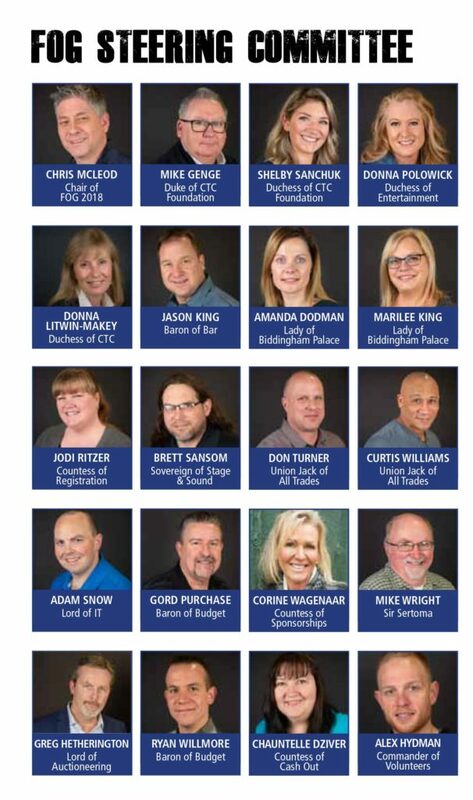 Thanks to the overwhelming support of FOG’s generous sponsors, guests, and the extremely dedicated FOG Committee and volunteers, this year’s Festival of Giving, British Invasion, raised $265,442 for the Children’s Treatment Centre Foundation of Chatham-Kent, and several other charities throughout our community. 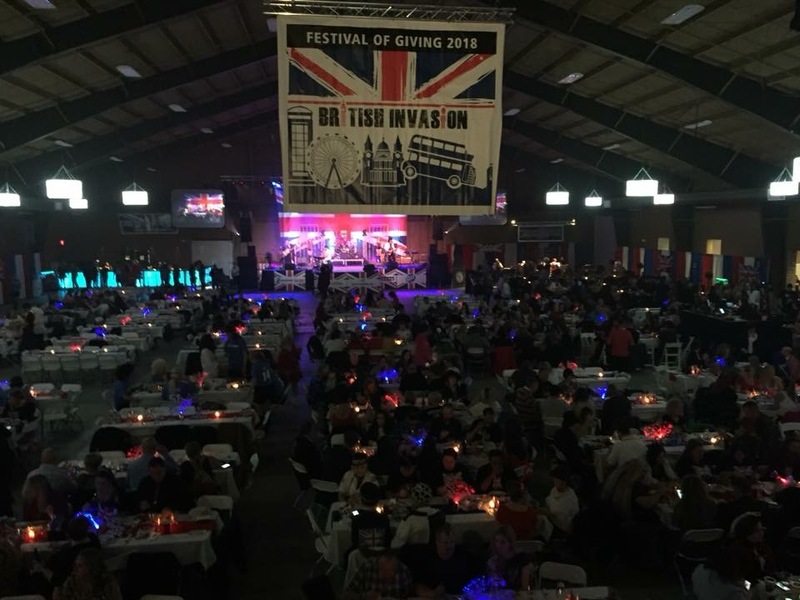 This year’s Festival of Giving was the most posh, entertaining Festival to date, featuring three local microbreweries, four live bands, Casino Royale, a double-decker bus, surprise Full Monty performance, and hundreds of live and silent auction items. A few big-ticket items included a $1,300 luxury toilet (or Royal Throne) donated by Chatham Plumbing, and a $10,000 Cement Job donated by LaFarge Canada & Tony Matteis, the Cement Specialist. The Children’s Treatment Centre Foundation and Festival of Giving committee would like to thank their event sponsor, Union Gas & Employees, along with all the entertainment and in kind sponsors for their incredible support of this year’s event. A special thank you to this year’s talented and dedicated FOG Committee (FOGgers) who work tirelessly year-round to pull together this premiere, top-notch event. Funds from this year’s Festival are earmarked to support the Children’s Treatment Centre Foundation’s Butterfly Building Campaign, and will support the organizations that support the Festival, including Thamesville Sertoma, Big Brothers Big Sisters, Habitat for Humanity, and other deserving charities as identified by the Festival of Giving committee. 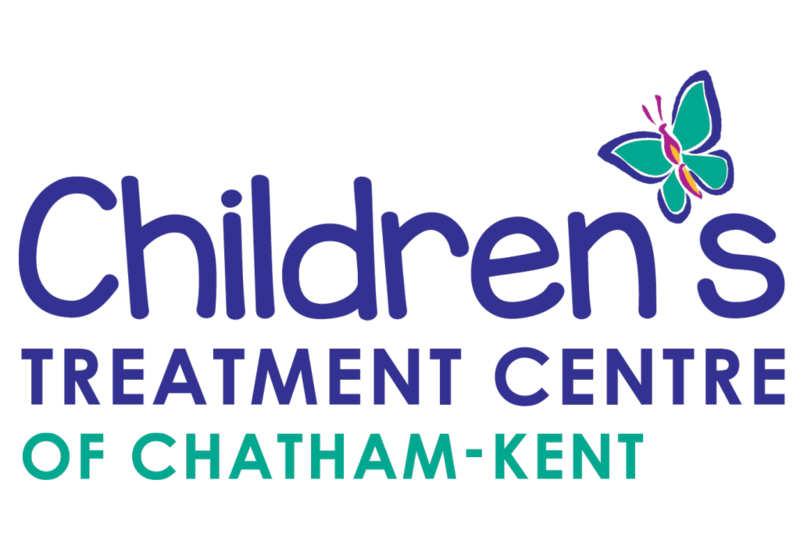 The Children’s Treatment Centre is extremely appreciative for the continued support of the Chatham-Kent community, helping to make the Festival of Giving a sold-out, successful event year after year.